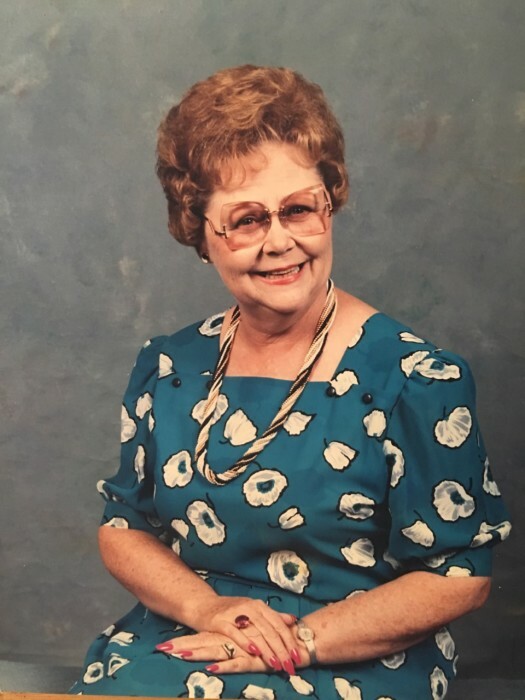 Barbara Nelson, 84, of Cave Creek, Arizona passed away peacefully at home on April 10th, 2019. Barbara was born in House, New Mexico to Barbara Nance McWhorter Canon on August 19th, 1934. Barbara was a graduate of Western New Mexico University with the BA Degree in education and Northern Arizona University with an MA Degree. She spent 34 years in education and was selected to be in Who’s Who in American Education. She was a Member of the Order of Eastern Star and Alpha Delta Kappa Sorority. She was also active with numerous youth groups. Barbara is preceded in death by her husband, Robert Gene Nelson, her daughter Sherri Jenkins, as well as three sisters and three brothers. She is survived by her daughter Pam Wade and sons Roy and Terry Nelson and several grandchildren and great grandchildren. Donations may be made in her memory to Special Olympics or Hospice of the Valley. Services will be held at Messinger Pinnacle Peak Mortuary, 8555 E Pinnacle Peak Road on Thursday, April 18th, 2019. Burial at Paradise Memorial Gardens Scottsdale, AZ.